Dr. Eleanore T. Wurtzel, one of the seven Lehman professors, penned two papers that were among the most cited in her field. Being recognized by your colleagues and peers is perhaps the ultimate compliment a research professor can receive. Eight studies, published by seven Lehman professors in the School of Natural and Socials Sciences, are among the top one percent of most frequently cited publications in their respective fields, according to an analysis of the Web of Science. The Web of Science is an online subscription database that tracks how frequently scholarly papers are cited in other published works. Subscribers are able to reference specialized subfields within an academic or scientific discipline. 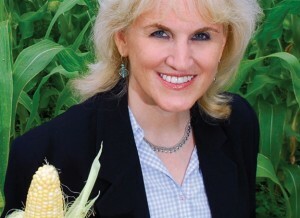 A Wurtzel article co-authored in 2008, focuses on research directed at solving the global health problem of vitamin A deficiency. The 2008 paper examines how the genetic diversity of Maize, the cereal crop eaten by many children in Sub Saharan Africa and Latin America, can be utilized to breed new varieties of maize. Those varieties can be developed to produce maize grain with higher provitamin A levels. The Wurtzel Lab is notable for having the only cornfield in the Bronx. A 2013 paper coauthored by Wurtzel and published in the journal, Plant Science, explores “the carotenoid biosynthetic pathway” and the scientific possibilities of genetically manipulating this pathway in crop plants. Carotenoids are organic pigments found in the chloroplasts and chromoplasts of plants, bacteria and some fungi. Professor Edward Kennelly’s 2012 “Metabolite Profiling Jaboticaba and Other Dark-Colored Fruit Juices,” analyzed jaboticaba fruits typically native to Brazil and often used to produce juice, wine and jellies. While the study found it to be “a promising fruit with antioxidant capacity similar to those of other superfruits,” because of variations in processing, the benefits to human health may be diminished. Associate Professor Zhi-Liang Zheng published an article in 2014 in Plant Journal that has potential long-term ramifications for improving crop yield and food quality. Zheng identified a unique function for a sulfur nutrient transporter called SULTR1; 2 and for the first time provides genetic and physiological evidence that SULTR1; 2 can act both a sulfur nutrient sensor/ receptor and a transporter. A 2011, paper coauthored by Assistant Professor Renuka Sankaran also published in the journal Plant Science, discusses the moving of micronutrients such as iron, zinc and copper, from plants to the developing seeds and potential strategies for developing biofortified foods. Sankaran studies micronutrients in plants and its impact on human health. Professor Eric Delson of the Department of Anthropology published his highly cited article in a 2014 issue of the Journal of Human Evolution. The study discusses the discovery of the cercopithecid monkeys fossil remains found in Moncucco Torinese, Italy. The work of Delson and his colleagues suggest that a newly discovered cranium offers information that will allow scientists to clarify the taxonomy of the earliest papionins, a tribe of old world monkeys, including baboons and mandrels from Eurasia. Professor Christopher Bonastia of the Department of Sociology published a paper in June 2015 that appeared in the publication Sociological Forum. The article assesses the causes and consequences of weak federal enforcement of school and housing desegregation since the passage of the Civil Rights Act of 1964. The article begins to untangle the story of why school segregation policies rarely reach beyond the most blatant perpetrators of racial separation and why housing desegregation policies barely got off the ground. In March 2014, Professor Luisa Borrell of the Department of Health Sciences Dietetics, Foods, and Nutrition program published an article in the American Journal of Public Health that examines body mass index categories and mortality risk in US adults and the effect of overweight and obesity on premature death. The results showed that obese adults are at least at a 20% significantly higher rate of dying of all causes or from cardiovascular disease. The paper highlighted the impact of the obesity epidemic on mortality risk and premature deaths among US adults.